Poland’s third largest city was built on the back of the textiles industry in the 19th-century. The cityscape is still shaped by this period: Gargantuan brick spinning mills have been turned into trendy cultural centres, malls and open monuments, while the entrepreneurs who made their fortunes from the factories built lavish villas that are now museums. 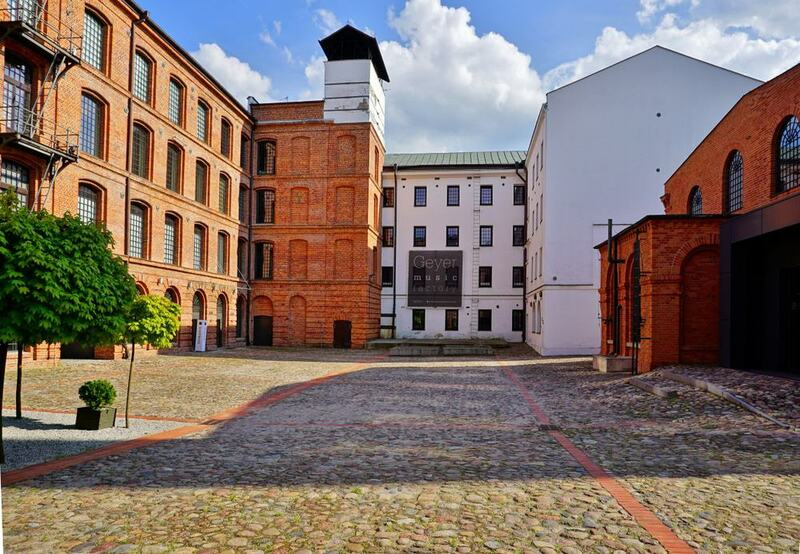 Łódź is also known far beyond Poland’s borders for its National Film School where Andrzej Wajda and Roman Polanski learned their craft. 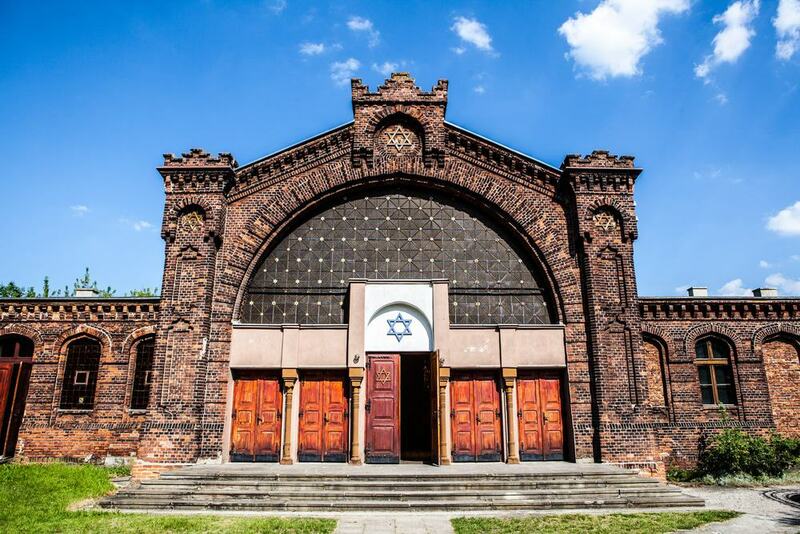 Although Łódź’s was mostly undamaged by the Second World War, it had the second largest ghetto in Poland. 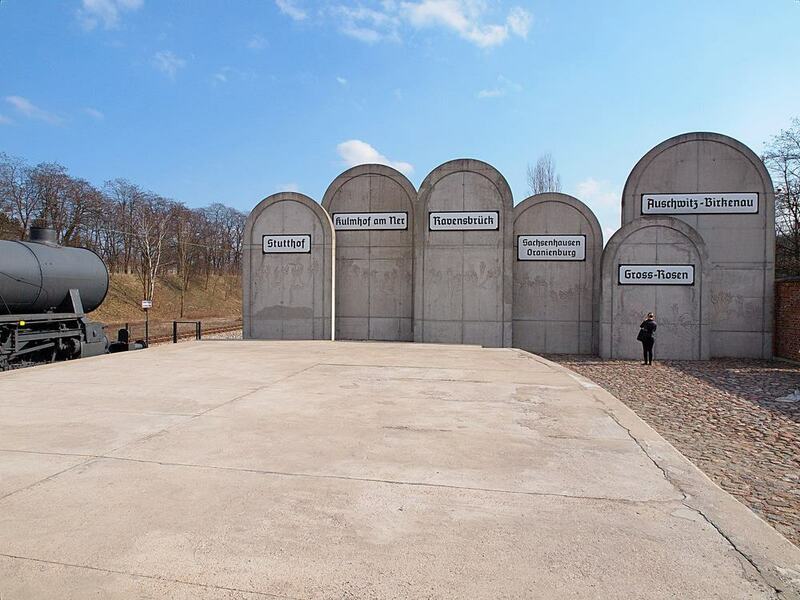 Now a monument, the Radegast train station is where many thousands of people began their final their final journey to Auschwitz or the nearby Chelmno camp. A showpiece for the city centre’s regeneration over the last 25 years, Manufaktura is a mall and leisure complex incorporating former textile factories. Opened in 2006 it is the largest urban regeneration scheme in Poland since Warsaw’s Old Town was rebuilt after the war. 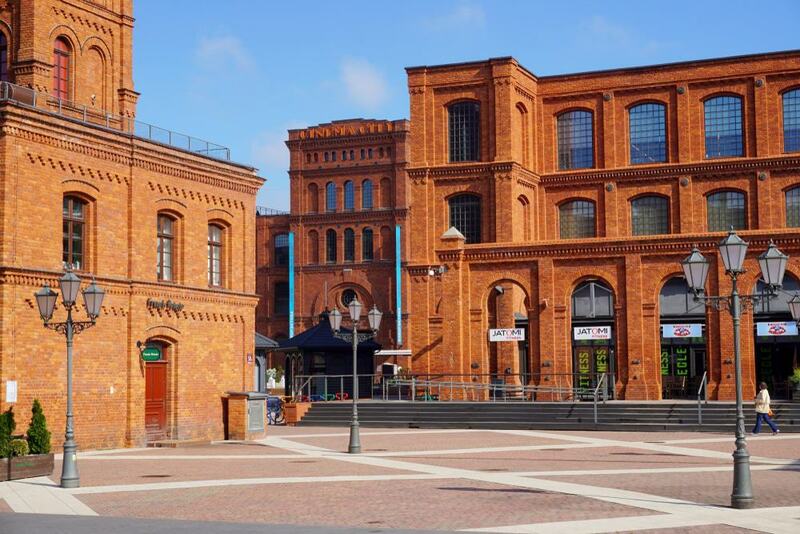 What makes this much more than just a typical mall is the epic industrial brick architecture, built by the entrepreneur Izrael Poznański in the 1870s. The site is vast, occupying 27 hectares and has more than 300 businesses, from international retailers to cafes, restaurants and bakeries. The Museum of the Factory reveals the everyday life of the workers, cloth production techniques at this facility, and also delves into the life of Izrael Poznański. 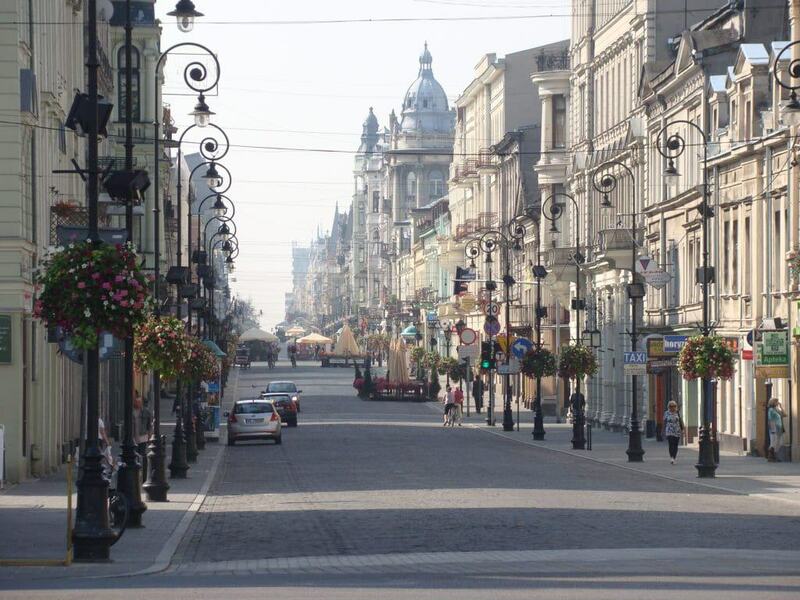 Just shy of five kilometres long, Ulica Piotrkowska is Łódź’s main thoroughfare and one of the longest pedestrian streets in the world. There’s no better place to begin your visit of the city, because it has so many of the top restaurants, shops, nightspots and sights. Most of Łódź’s industrialists had townhouses along the street, and since the 90s those Art Nouveau and Historicist properties have been restored to their turn-of-the-century splendour. About mid-way along at no. 72 stands the Grand Hotel, where figures as varied as Tito, Himmler and Roman Polanski have stayed. Then at no. 78 you’ll be at the childhood home of the Polish-American classical pianist Arthur Rubinstein. He is commemorated on the street by a monument in familiar pose sitting at a grand piano. In the Bałuty district, Radegast Train Station was the point of departure to the Auschwitz and Chelmno extermination camps. Some 200,000 Jews from the Łódź Ghetto and all over Poland, Germany, Austria, Luxembourg and the former Sudetenland came through this point. The station was converted into a memorial in 2005, with three windowless cattle wagons alongside the restored station building. Large slab-like gravestones have the names of destinations like Auschwitz-Birkenau and imprints of hands in their concrete. A branch of Łódź Museum of Independence museum in the station portrays life in the Łódź Ghetto . One poignant exhibit shows the contents of a suitcase discovered in an attic on Ulica Organizacji WiN in the Ghetto, belonging to a family that was most likely killed at the Chelmno camp. Textile manufacturing was just a cottage industry in Łódź until facilities like the White Factory cropped up in the 1830s. At the southern end of Piotrkowska Street, the lakeside four-wing complex founded by the entrepreneur Ludwig Geyer has real Neoclassical gravitas. The factory was converted into a museum soon after the Second World War. You can size up the architecture of the site and its boiler house, high chimney and water towers, and go in to view the factory’s original steam-powered looms. There’s also a mass of textile-making machinery like spinners sourced from other factories, and an exhibition about fashion through to the 20th century. The museum organises and hosts the International Triennial of Tapestry, the largest exhibition in the world for “contemporary fibre art”, drawing thousands of visitors every three years. 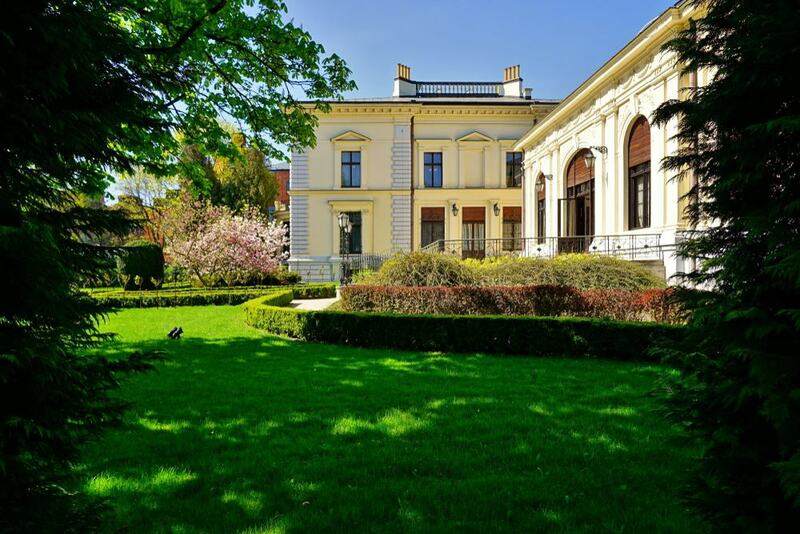 This handsome property was constructed in 1876 for Matylda, the daughter of Karl Scheibler, the most important textiles industrialist in Łódź. When her father passed away, her husband Edward Herbst inherited one of Poland’s biggest industrial empires. 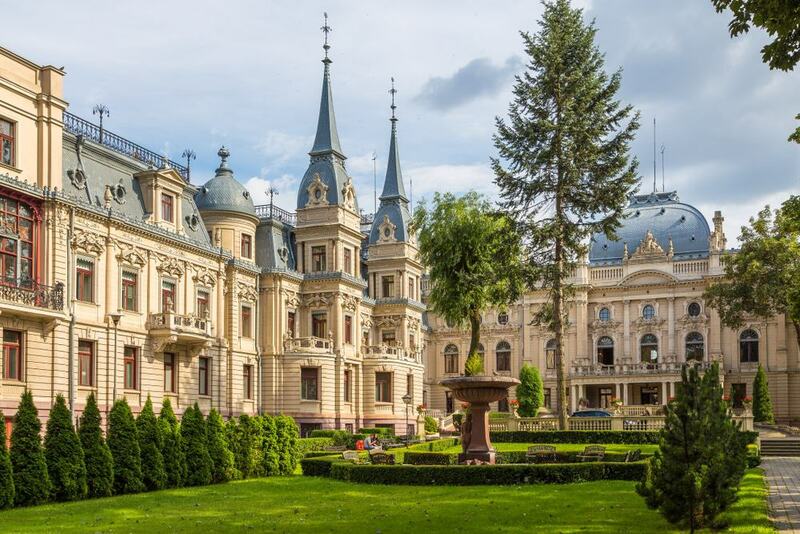 Their two-storey Neo-Renaissance mansion is planted in sprawling gardens and, complete with a ballroom, stables and orangery, reveals the privileged lifestyle of Poland’s 19th-century industrialists. The mansion was acquired by Łódź’s Museum of Art in the 1970s, but it wasn’t until the 90s that detailed plans of the interiors were discovered and a thorough restoration could be carried out. Outside the Herbst Villa you’re free to wander a completely preserved industrial complex from the end of the 19th century. There had been mills here belonging to the parish priest since the 15th century, and in 1823 the site was set aside for industrial spinning factories. After a fire stopped production in 1870, Karl Scheibler took over Priest’s Mill and turned it into a kind of city within a city. 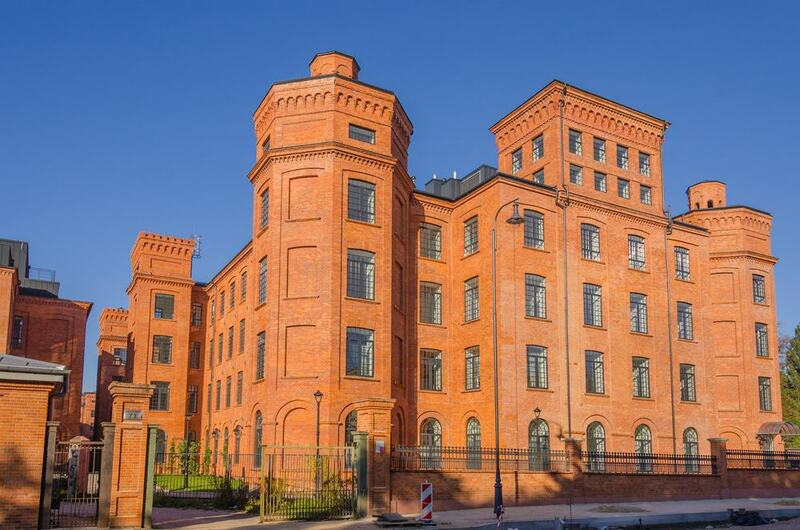 As well as having the largest spinning mill in Łódź at more than 200 metres long, the complex retains a large housing estate for workers, a factory shop, a school, fire station, palatial residences for the owner’s family and a park with a pond. The brick architecture and level of preservation are incredible, and efforts are being made to get the site UNESCO status. At one time, this 44-hectare cemetery on Ulica Bracka was among the largest Jewish burial grounds in the world. It was founded in 1892 and takes you on a trip through the first decades of the 20th century. On one hand you have lavish monuments for industrialists like Izrael Poznański. His grave is marked with what may be the largest mausoleum for a Jewish individual in the world, and the only one to be decorated with a mosaic. But the cemetery also resonates with the horrors of the holocaust: In the southern portion are mass graves for the 45,000 who perished in the Łódź Ghetto. Very disturbing are the empty open graves, which were dug by the 800 or so Jews forced to stay behind and aid the liquidation of the ghetto. They were due to be executed, but were spared by the Soviet advance in late 1944. Hard to miss on Ulica Ogrodowa, the Eclecticist residence of the industrialist Izrael Poznański is one of Łódź’s grandest monuments. Poznański plunged the riches he made when the price of cotton sky-rocketed at the end of the 19th century into this palace, which has an L-shaped plan. No other bourgeois mansions in Łódź come close to this building in terms of size and the extravagance of its decoration. Today it contains the headquarters for the Łódź’s City Museum. You can visit Poznański’s private study and tour the Art Nouveau interiors. These have richly carved wood panelling, parquet floors, chandeliers, silk wallpaper, stained glass skylights, abundant stuccowork, ornamental carvings and lots of original period furniture. You could call this development on Ulica Piotrskowa a trendier alternative to Manufaktura. Like its cousin it’s in a brick industrial cotton mill that finally closed down in 1990. The factory was owned by Franciszek Ramisch and was built up between 1850 and 1909. 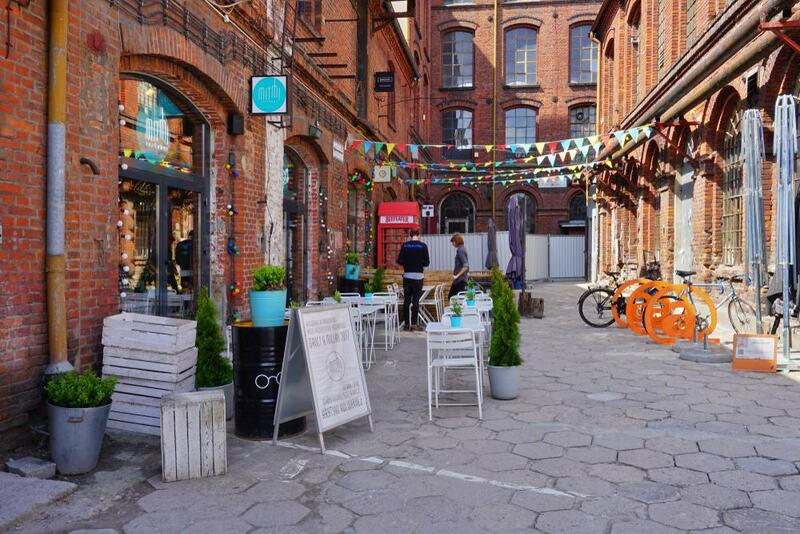 But while Manufaktura is known for its chain stores, Off Piotrkowska has independent design shops, artist studios, international eateries, exhibition halls, stylish bars and live music venues for alternative artists. And of course, the period detail of the Ramisch Factory imbues the whole place with timeless style. Food trucks pull up in the courtyard and there’s a cycle of events like the Domoffon music festival in August. Łódź’s art museum has three locations around the city. There are short-term installations by contemporary artists in the gallery at Maurycy Poznański’s Palace (ms1), while the interior of Edward Herbst’s Villa is another branch. 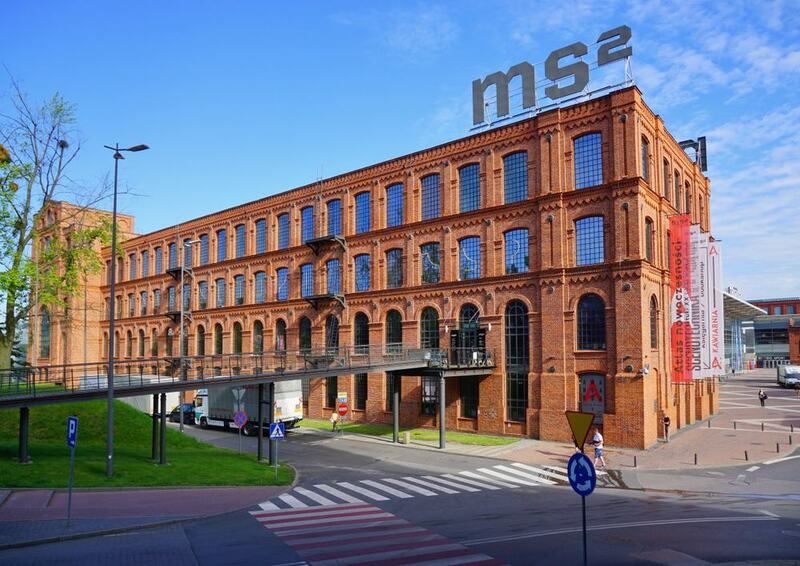 The main draw though is ms2 in a former spinning mill belonging to the Manufaktura complex. The permanent exhibition showcases the museum’s collection of 20th and 21st-century art, and instead of being displayed in one block, 200 works at a time are presented in specially curated exhibitions. These are on themes around the concept of modernity, like “capital”, “progress”, “emancipation” and “propaganda”. There’s also a busy schedule of temporary shows, a top-notch bookshop and a cafe. 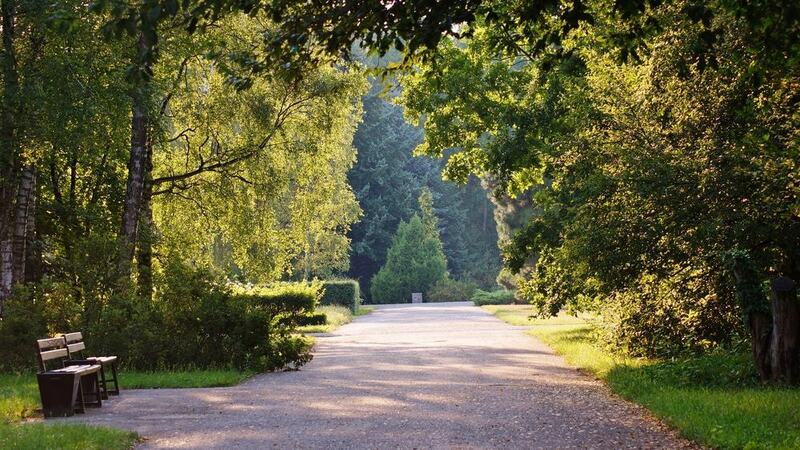 Found in the Źródliska Park in the western Polesie district, this 67-hectare botanical garden was first planted in 1929 but wasn’t developed until after the war. Open from April to October, the garden has 3,500 varieties of plants set in nine sections. There’s an arboretum 18 hectares in size, as well as beds with medicinal plants like horsetail, evening primrose and St John’s Wort. The Alpinarium has been landscaped into a mountainous terrain growing coniferous plants and rhododendron, while the two-hectare Japanese garden is planted with species from the Far East. The Palm House from 1956 remains one of the city’s favourite landmarks and has 4,500 Mediterranean, tropical and cactus specimens. Just beside it are didactic trails, presenting native deciduous trees, common weeds, different types of rocks and a collection of sundials. At this museum you can go beneath Plac Wolności (Freedom Square) to walk through an unusual piece of 20th-century engineering . 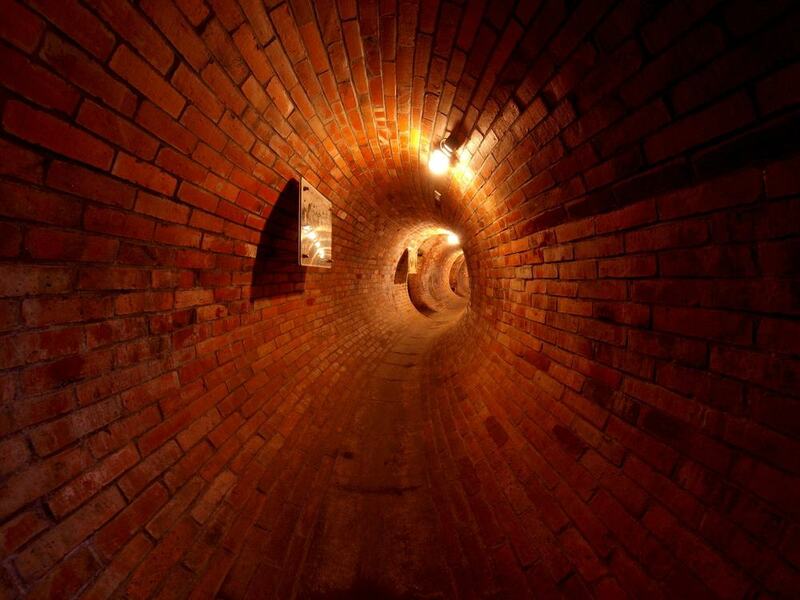 The Dętka is a torus-shaped water reservoir, built in 1926 to service the sewers in the city centre. It can hold 300 cubic metres of water and is more than 140 metres long and almost 190 cm high. In 2008 the Dętka was opened up to the public for the first time, and you can go down from Wednesday to Sunday for a tour. Lining these well lit tunnels are archive photographs of Łódź’s sewer system, vintage sluice gate mechanisms and 100-year-old tools. 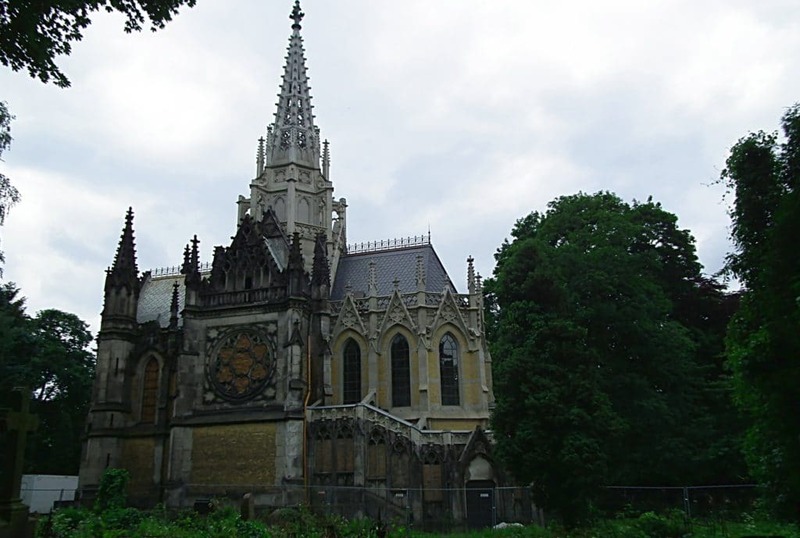 Like Izrael Poznański, when the entrepreneur Karl Scheibler passed away in 1881 his memory was kept with a striking mausoleum. In Scheibler’s case this was a complete chapel, ordered by his daughter Anna. This is in a Gothic Revival design, borrowing elements from the churches of northern France and Scheibler’s native Germany. In the Old Cemetery at Ulica Ogradowa, the chapel is like a miniature cathedral, with a cross layout, tympanum, rose window and a central tower that is ornamented with crockets. The monument has now seen better days, but recalls a time when textile factory owners wielded enormous wealth and influence in Łódź. 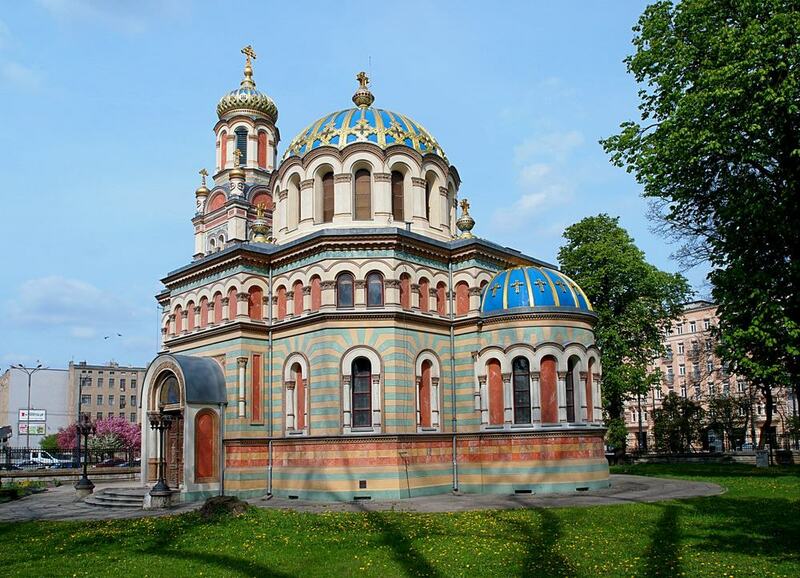 This Orthodox Neo-Byzantine church is a reminder that for a century Łódź was under the yoke of the Russian Empire. By the end of the 19th century something like 7,000 people (up to 2% of the city’s residents) were Orthodox Christians. As one of many philanthropic projects, Łódź’s magnates pooled together to build this church and it was consecrated in 1884. On an octagonal plan, the colourful cathedral has blue domes, with patterned gold borders. The kaleidoscope of colour continues indoors, where you’ll be wowed by the iconostasis, produced in St Petersburg and funded by Izrael Poznański. 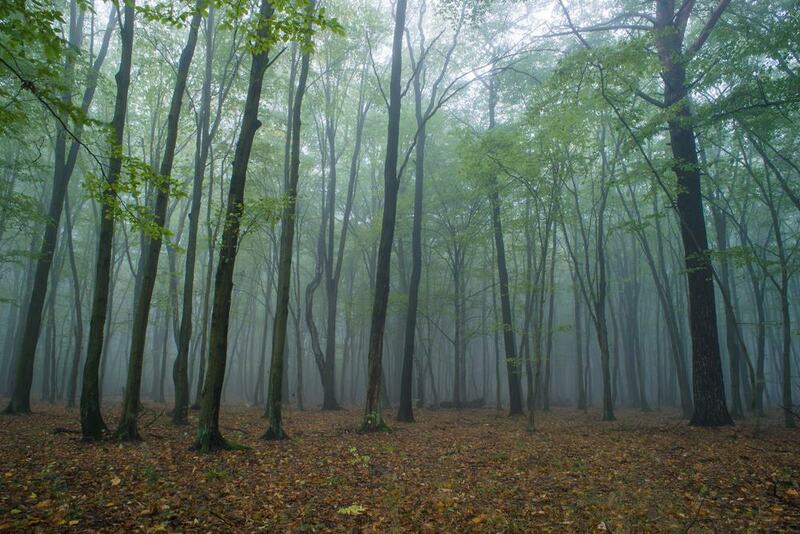 In the northeast of Łódź there’s a 1,200-hectare forest, one of the largest natural reserves within the limits of a European city. The forest has a thick mantle of oaks, but also Scots pines, birches and a wealth of other tree species. When Łódź’s residents want to escape to nature, this is where they come for bike and walking trails that are used by cross-country skiers in winter. Beside the road to Zgierz is a Franciscan monastery from the first decades of the 18th century. This has long been a pilgrimage destination for the grave of the beatified monk Rafał Chyliński and an icon of Saint Anthony. And hidden in the middle of the forest is the Arturówek holiday centre, with a lakeside beach, playgrounds and sports facilities.